Friday morning frost risk. Image: MetService. A ridge of high pressure will deliver sunshine for most places as we head into the weekend. However, the fine weather will not last for everyone, as a front pushes onto the country by the end of the weekend. This sunshine should be welcome news, especially for Christchurch which has only had 18.2 hours of sunshine up until Thursday. This is tracking well below the area’s June average of 119 hours. 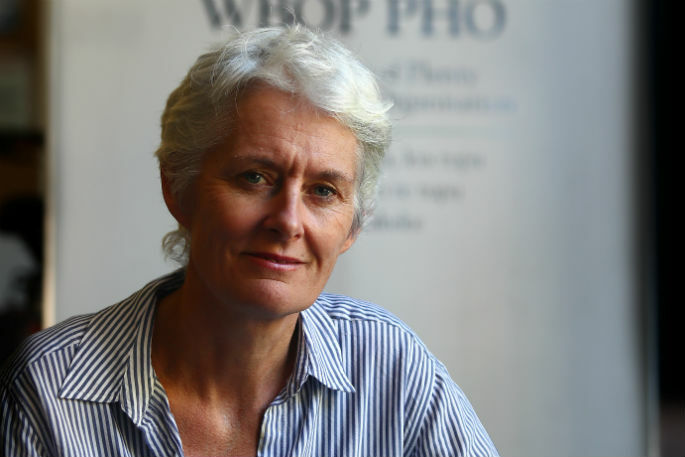 “Friday and Saturday in particular are looking sunny for Christchurch,” says MetService meteorologist Stephen Glassey. Auckland and Northland should also see sunshine on Friday after heavy rain drenched parts of these regions on Wednesday and Thursday. However, the clearing skies will also cause the overnight temperatures to plummet with morning frosts possible. 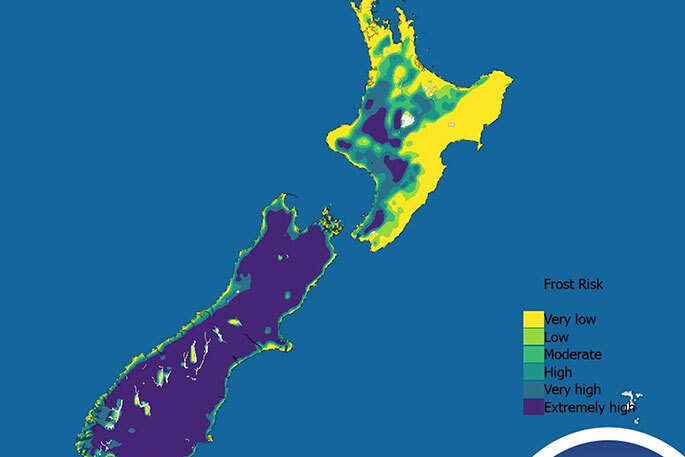 “Although frosts are a possibility for Auckland and Northland, they are almost a certainty for most other parts of New Zealand,” says Glassey. On Sunday a front moves onto New Zealand from the Tasman Sea, followed by an unsettled west to southwest flow which continues into the first half of next week. Western and southern parts of the country will be affected by periods of rain or showers, while eastern areas are likely to be drier. 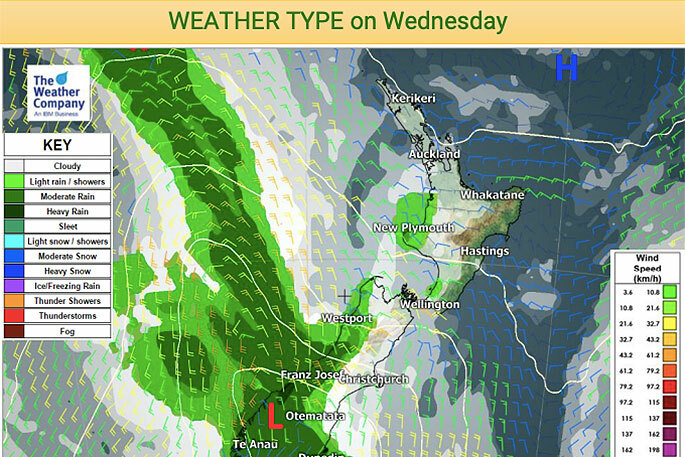 Snow may also affect some higher roads in the lower South Island on Monday and Tuesday.